Number 1 British female rally driver Sara Williams has seen an eventful 2015 season recognised by her nomination for the British Women Racing Drivers Club Elite GoldStars Award 2016. The most prestigious award offered by the association, Sara joins a number of professional female racers who have been recognised by the award. The purpose of the award is to promote female talent in motor racing and aid professional drivers in achieving career progression. The winner of the Elite GoldStars will have the chance to receive one-on-one mentoring from DTM star and Williams F1 test driver Susie Wolff. The British Women Racing Drivers Club (BWRDC) aims to support women in all facets of motorsport; offering members opportunities to take part in championships AND gain advice from professionals with the overall goal of raising women’s profile within the sport. The club was originally founded in 1962 by Mary Wheeler MBE, and today supports every motorsport discipline from karting to rallying. The GoldStars award is presented to only two member drivers every year, with Sara being nominated in the Elite category for professional advancement. There are 3 nominations for each category, members and elite. The awards will be presented at the Autosport International Show on January 14th 2016, taking place at the National Exhibition Centre in Birmingham. Sara rose to prominence in rallying in 2013 when she became the first woman to win a rally outright for 30 years at the Swansea Bay Rally. She followed up these successes with two further overall victories, triumphs at the Red Kite Rally 2013 and at the Red Dragon Rally this year. Williams further cemented her international aspirations by making her World Rally Championship debut at Wales Rally GB in 2014. 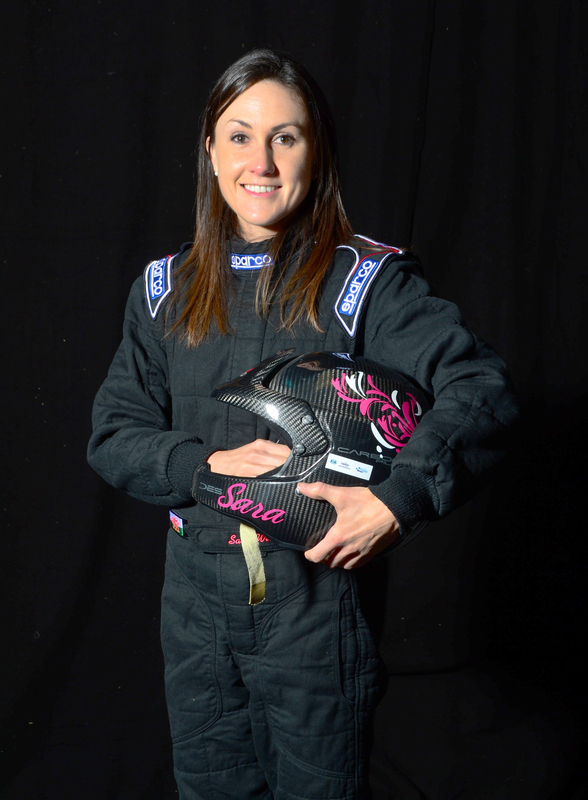 November 2015 saw Sara selected by the FIA Women In Motorsport Commission for the Qatar Cross Country rally project in conjunction with Qatar Motor and Motorcycle Federation. Sara and 17 fellow drivers learned all the essentials of desert driving in 35°C with Dakar Rally winner Jutta Kleinschmidt and successful co-driver Fabrizia Pons. The GoldStar nomination crowns what has been an eventful year for Sara. With Sara adding to her vast on-stage experience and tackling newer challanges such as tarmac and sand, the skill and consistency of the Welsh rally star is becoming recognised internationally. With plenty of years ahead of her, it is a safe assertion that Sara will be pushing to compete at the very highest of levels. Photo Caption 1: Number 1 British female rally driver Sara Williams has seen an eventful 2015 season recognised by her nomination for the British Women Racing Drivers Club Elite GoldStars Award 2016.